12 days … 12 rings … @WSOP Circuit @TVPokerRoom takes place Sept. 14-25 with a wide array of tournaments including a $500,000 guaranteed Main Event. Thunder Valley welcomes circuit players to northern California, with a variety of events that include Hold’em, PLO, HORSE, Monster Stack and more. 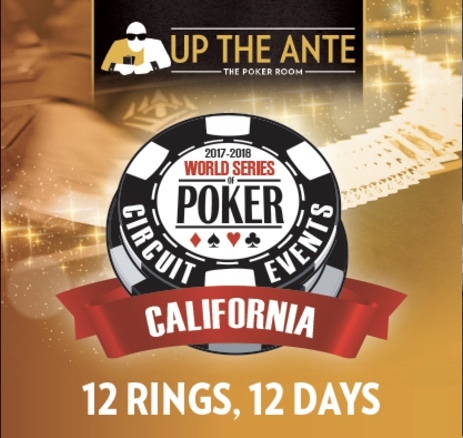 The Circuit kicks off with a $365 ring event boasting a $250,000 prize pool guarantee Sept. 14-17 - featuring 5 starting flights.